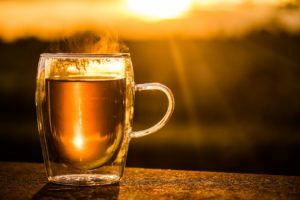 Top 3 Foods To Fight A Cold – Freight Logistics, Inc.
Spring has arrived but we’re still in cold and flu season, when even the most innocent sneeze puts you on edge. If you do get sick, we have a few food favorites which always make us feel better when recovering from a cold or the flu. The ultimate feel-good-when-you’re-sick food. There’s nothing more soothing than a hot bowl of soup when you’re under the weather. In addition to tasting good, chicken noodle soup is a good source of fluids, nutrients and vitamins. Honey is an age-old remedy to soothe a sore throat. Mix a small dose of honey into a cup of tea or a warm drink, and enjoy. Another natural treatment, ginger helps with nausea. Drinks such as ginger tea or flat ginger ale can keep you hydrated and help with stomach problems. Whether you catch a cold or stay healthy, FLI is your partner in transportation 365 days a year. If you want to know more about how you can trust our team with your shipment — in rain or shine, sickness or health — call or email us today.